You can find laser hair removal in almost every city in America. Dermatologists, plastic surgeons, OB/Gyns and family practice offices offer it? But who’s qualified to do laser hair removal and how can you ensure you’re getting an effective treatment? You may not be surprised to learn that price isn’t the most important factor! Understanding the available devices and which one is right for you is really the first thing you need to consider when choosing your laser hair removal provider. Type I skin is of Caucasian descent; Very fair and typically Northern European or Scandinavian, such as Swedish or Irish. This skin type always burns in the sun and rarely tans. 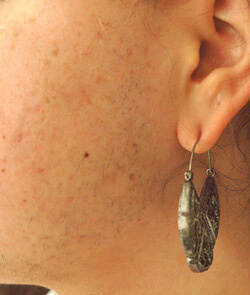 Type II skin is also very fair and usually of Caucasian descent; European heritages such as English, German, Russian are generally this skin type. These people burn easily but may tan. Type III skin includes Caucasians of Mediterranean descent as well as some lighter-skinned Hispanics. 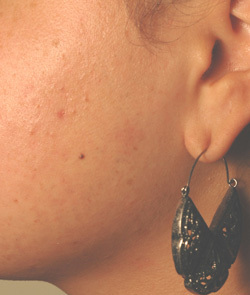 Many Italians, Greeks and South American Hispanics are this skin type. They will tan easily usually after an initial burn. Type IV skin is usually a light brown skin tone. Hispanic, Asians, Persians and Middle Easterners are this skin type. They will tan very easily and burn minimally. Type V skin is brown skin. Usually those with lighter skin of North African or African-American descent. These people tan darkly easily and rarely, if ever, burn in the sun. Type VI skin is dark brown or black skin. These people are of African descent, tan very darkly and never burn. The diode laser is the most common laser hair removal device used today. The Lumenis LightSheer is a brand of diode laser considered the “gold standard” for laser hair removal among medical laser professionals. It is ideal for skin types I through IV. And although the manufacturer advises that it may be used on higher skin types (with certain models), our experience has not shown this to be true. We would strongly caution those with a skin type V or VI against having laser hair removal with this device. The Alexandrite laser is a less commonly used device, but still very effective for laser hair removal in skin types I through III. We generally would not recommend its use in anyone over a skin type III due to the risk of hyperpigmentation or darkening of the skin and blistering. There are several brands of Alexandrite lasers, but the Cynosure Apogee is the most widely used device in this category. Lastly, the Nd:Yag laser is the type of device that is most commonly used laser hair removal device for darker skin types (type V and VI). What makes this device safe for dark skin? Remember that laser hair removal works by damaging the follicle with heat (or light) energy. All the lasers listed above target melanin which is the pigment that lines the hair follicle and gives the hair color. Since people with black skin have a lot of melanin in their skin and hair, special laser technology must be used to properly target the melanin in the follicle while avoiding it in the skin. At Celibre, we use a device called the Sciton Profile. The Sciton Profile is a long-pulsed Nd:Yag laser that uses a greater penetrating wavelength of light that can get to the deeper melanin in the follicle and bypass the melanin closer to the skin’s surface that gives it color. This device is extremely safe for all dark skin types and works very well for laser hair removal in black skin. Before you consider laser hair removal, take a moment to familiarize yourself with the most common types of lasers. This will help ensure a better outcome with more permanent hair removal for you.